The Syma X5C quadcopter is an affordable model that offers an opportunity to get your feet wet piloting a drone without the fear of trashing or losing a thousand dollar drone and camera kit. For $50, it offers plenty of fun and practice at very low risk. 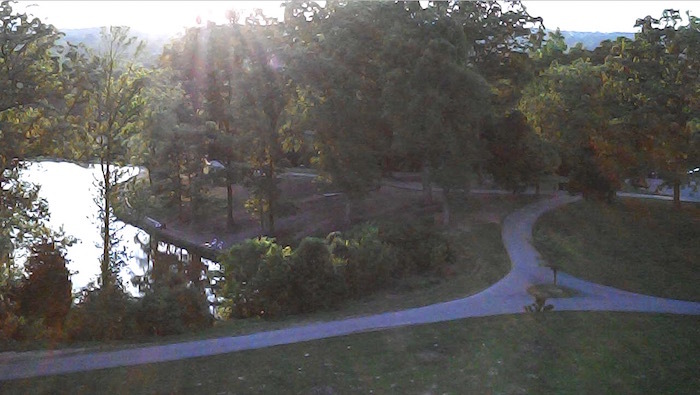 I have flown the DJI Phantom and several toy single- and multi-rotor copters. This fits somewhere in between. It feels very much like a toy with the cheap, plastic body; however, it flies like a more serious quadcopter. Because the X5C is purely radio controlled with no input from GPS, altitude control is completely manual. That makes the X5C harder to fly than the DJI Phantom. 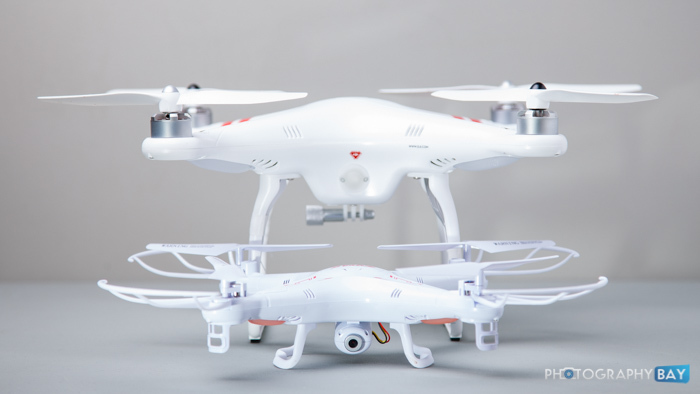 So if you are aspiring to buy a Phantom or a 3DR Solo, the X5C will certainly prep you for the piloting aspect of it. What the X5C won’t prepare you for is the complexity of the setup and preparation process for flying more advanced drones. And that’s a good thing if this is your first quadcopter. There is no compass calibration or linking to GPS satellites. 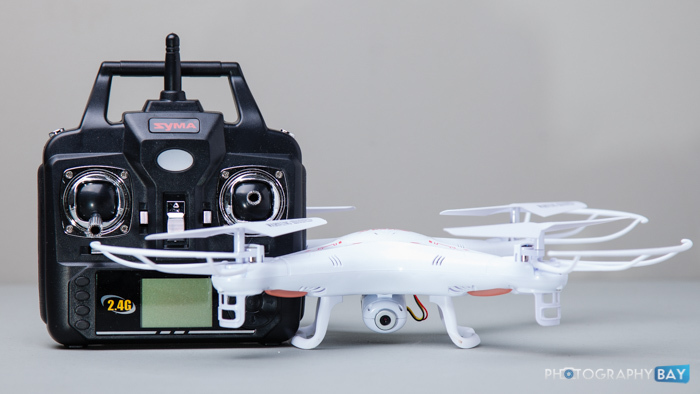 The X5C’s transmitter is linked to the quadcopter and there is no relink process after firmware upgrades. You just pull it out of the box, put batteries in it and go fly. Perhaps one of the best things about the X5C is that it is small and light enough to fly inside. Of course, you can’t really get crazy with maneuvering indoors but learning to control the throttle under ceilings that are only nine feet high helps you get a good feel of the drone. The X5C is equipped with a built-in camera. I use the term “camera” loosely though. If you frequent this site, there is really nothing about the camera that will be satisfactory to you. The resolution is 1280 x 720 for the video using a Motion JPEG codec in .AVI file format. The photos are 3.6MP. The sharpness in both formats is abysmal. While it is easy to capture photos or video via the transmitter controls, unless lighting is just perfect, the photos will just look like terrible. If the lighting is sufficient and the X5C isn’t vibrating too bad at the moment of capture, it can be an okay result. The Syma X5C delivers somewhere between 6-10 minutes flight time, depending on the conditions. The good thing though is that batteries for the X5C are cheap and pretty simple to replace. I picked up a spare pack of four batteries and multi-charger for under $20. So that gives me around 45 minutes of actual flight time if I charge all of them up for an outing. If I’m flying around in my house, I can keep these rotating in and out for even more flight time. The remote has trim controls on it to keep it hovering pretty evenly. I haven’t quite been able to get it to hold without any drift. However, it is pretty close and good enough to maintain control and hover indoors with just a little input from me. Outside, the X5C does okay in conditions up to a light breeze. It is extremely lightweight, so that plastic body will really catch the wind if you get much of a gust. This is not something you want to fly in tight spaces outside. Again, the DJI Phantom and other, more advanced drones, will help you hold position and altitude – even in moderate winds. With the X5C, its all on you to correct for weather conditions. I have had it up in the air when some mild gusts came along and before you know it, it’s moved dozens of feet with the wind and has to fight to get back to you. The X5C also seems to be pretty robust. I’ve crashed it from 8-feet or so indoors and probably close to 25-feet outdoors (onto grass) without so much as a broken rotor yet. Notably, it ships with spare rotors and replacements can be ordered for just $1.49 for four spares. 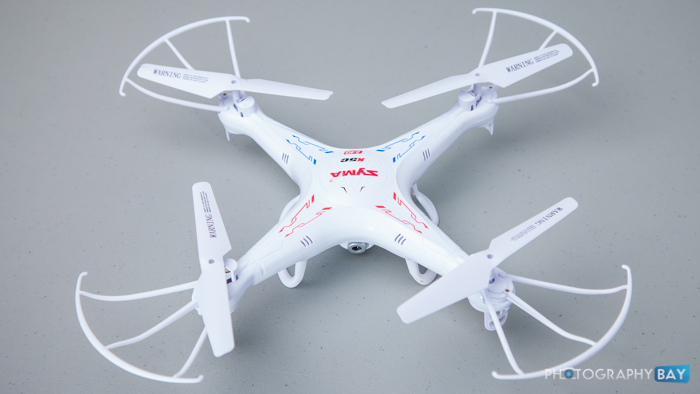 In sum, the Syma X5C is a great little quadcopter that borders between toy and hobbyist-level drones. It has enough features to whet your appetite for a more advanced and more expensive package without the risk of breaking your heart if you crash it or lose it. 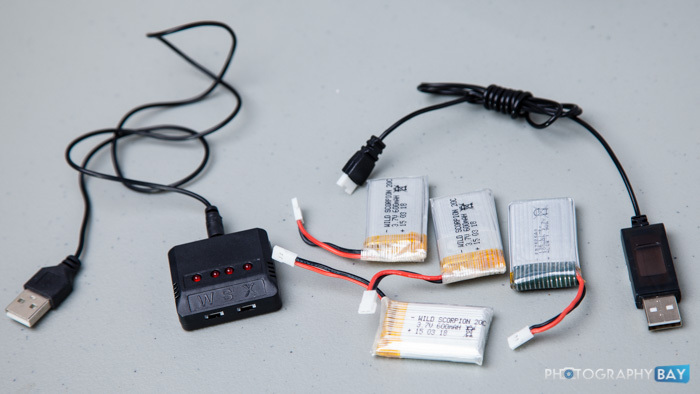 The Syma X5C runs about $50 and, other than some AA batteries for the remote, is ready-to-fly when it arrives. Check it out here on Amazon.com. Pretty informative article. 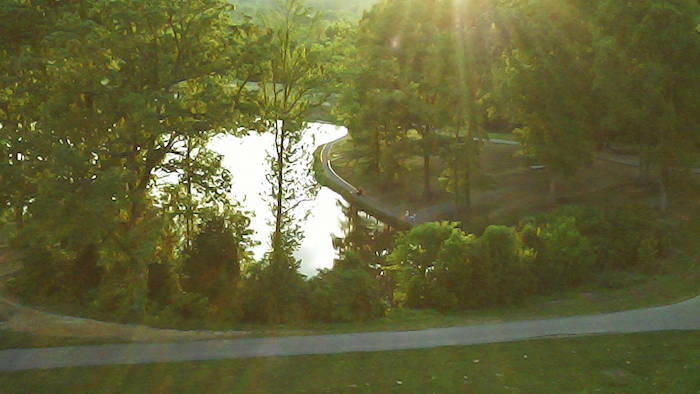 I particularly wanted to see more sample pictures from the onboard camera – the two shown were taken almost into the sunlight – most camera’s battle with that. But, thank you!! Hi, what is the exact resolution of the photos taken by camera?